Soul to soul blending, working with the power, the emotion and higher consciousness within the soul, and unfolding the practical story and evidence through clairvoyance. A strong foundation for psychic/intution and mediumistic ability for those that are new on their journey. Paul and Melinda will use their own awareness and sensitivity to encourage you and help you understand your own awareness and sensitivity. A 3 day mediumship course taught by renowned Medium, Paul Jacobs. 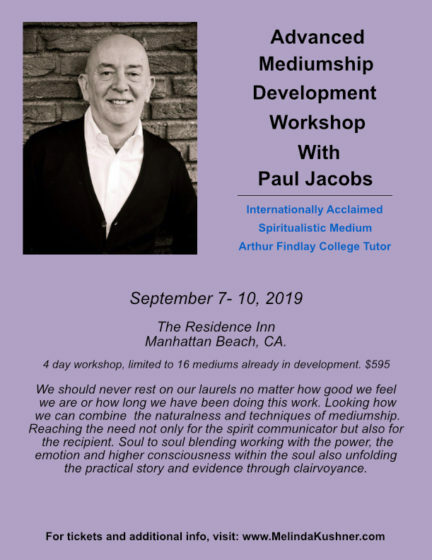 Coming all the way from Germany to teach, this class is intended for experienced and advanced mediumship students ONLY. 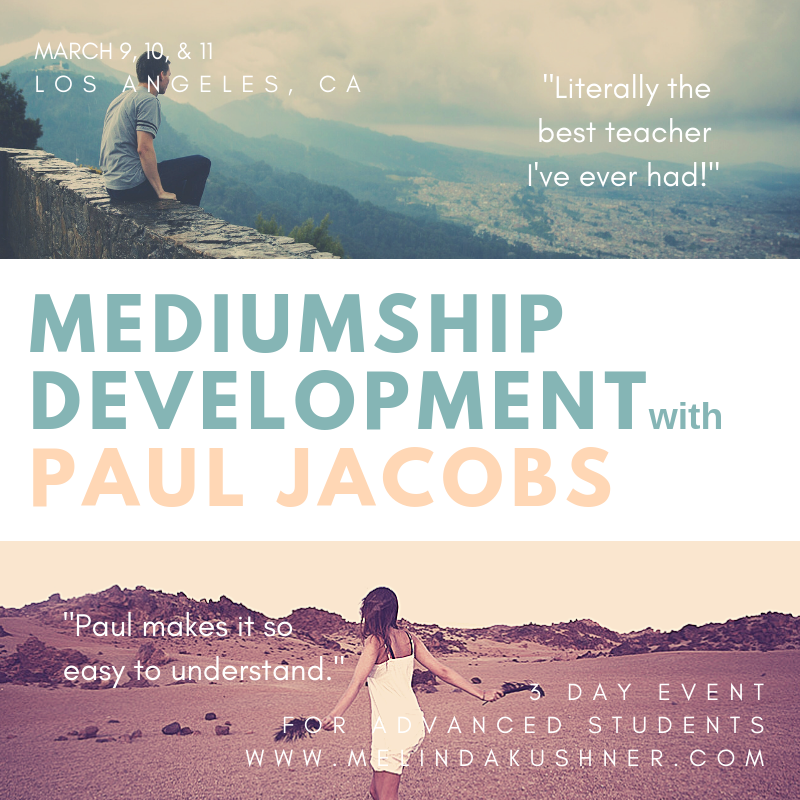 A 3 day mediumship course taught by Paul Jacobs and Melinda Kushner. 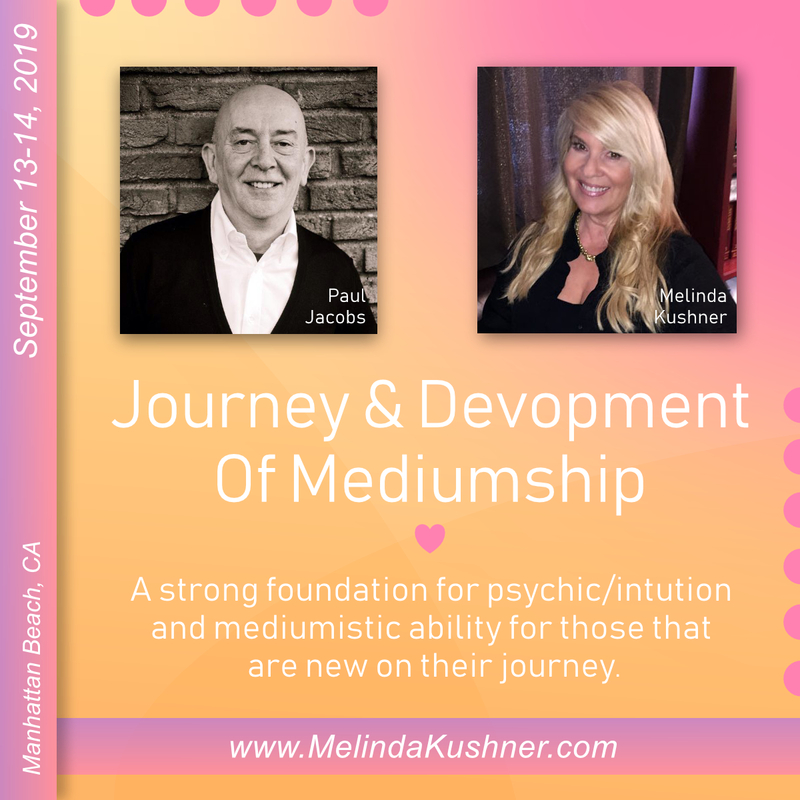 Manifesting your psychic and mediumship abilities and learning the emotional and practical facts of the soul and its manifestation in this world and the next. 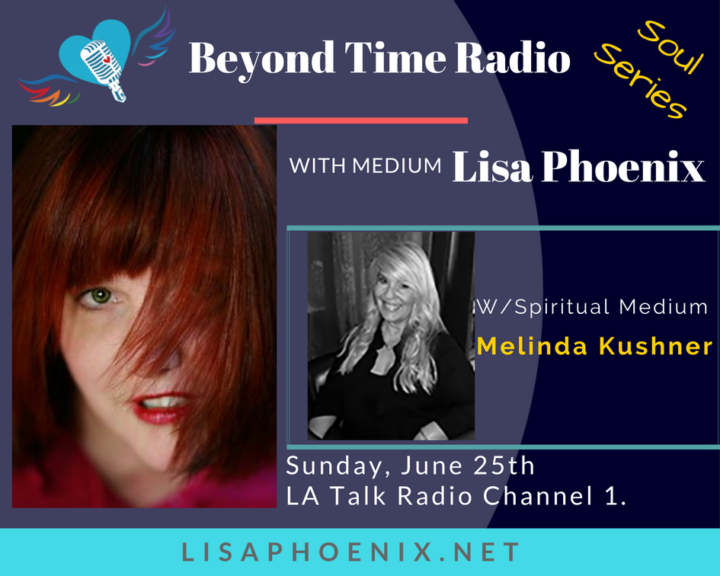 International Life Coach, Author and Speaker Tom Zuba & International Spiritual Medium and Speaker Melinda Kushner work in two different worlds. Yet when they found themselves seated at the same dinner table they had an immediate connection. Together they dance between two very powerful worlds. 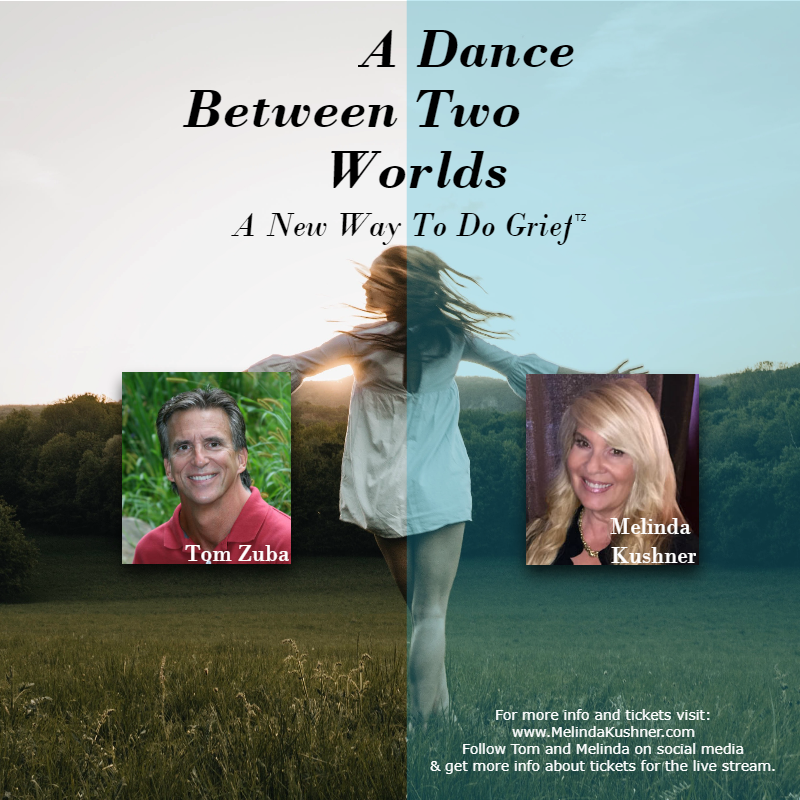 Come join Tom and Melinda for the 2018 Dance Between Two worlds Tour. Click below for more info and to purchase tickets to the event location you would like to attend. We are also working to stream the event live and will have more general and ticket information available for that soon. Follow Melinda on social media to keep updated on this, and upcoming events. 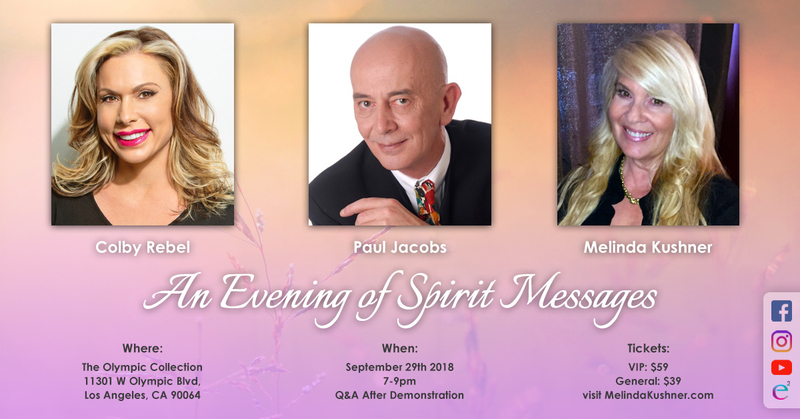 Join world-renowned spiritual mediums and teachers, Melinda Kushner, Paul Jacobs, and Colby Rebel for an unforgettable evening of Spirit messages! 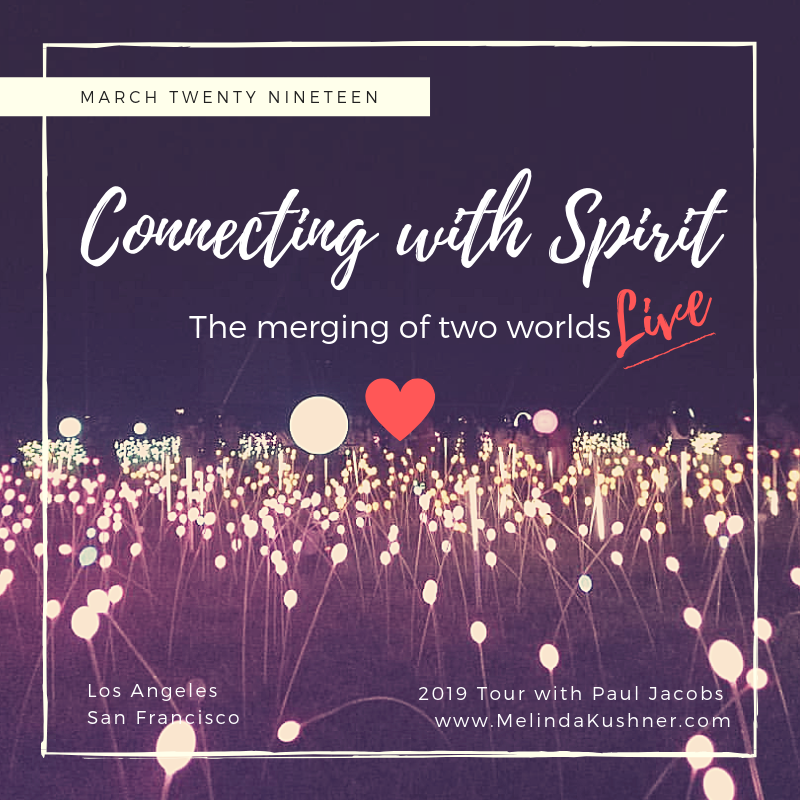 You’ll feel the presence of a loved one you’ve been missing as Melinda, Paul and Colby lead the entire audience through a powerful exercise to blend with the Spirit world – then deliver personal, detailed messages of love, comfort, and encouragement to random audience members! You’ll leave forever changed – with a fresh new perspective on life and death, a stronger connection to the spirit world and the comforting awareness that you are not alone! 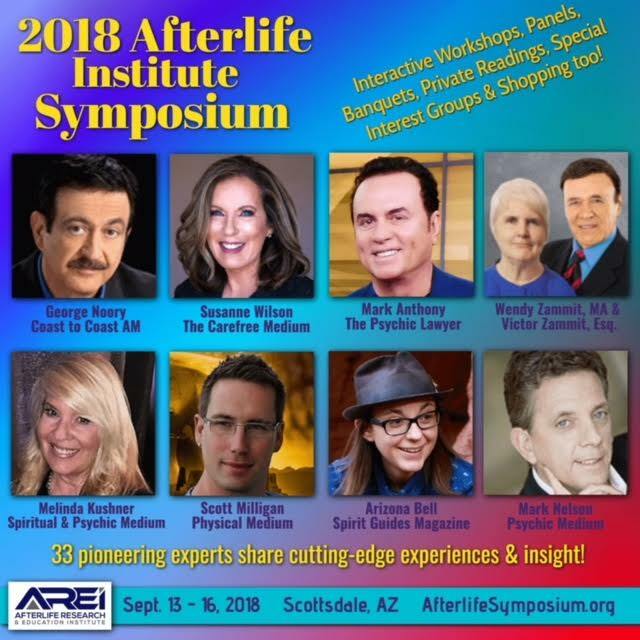 Join me for my workshop, “Your Soul’s Journey”. Melinda will also be giving private readings at the AREI event. To schedule a private reading during the event click below. 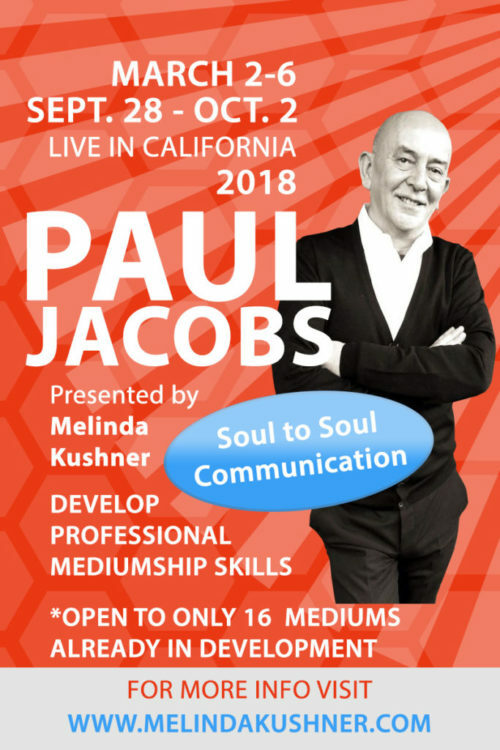 For those of you are advance and experienced students, you will be expected to attempt to exceed your normal boundaries, I’m looking to help and you wanting to reach for the standard of the highest level of mediumship that is possible. You must accept a strong but honest approach in my work with you.